DOVER, Del. — Angel Golden scored 15 of her 24 points in the fourth quarter on Saturday as Bethune-Cookman defeated Delaware State 68-60 in Memorial Hall. Oluwadamilola Oloyede hit a pair of free throws with 10.9 seconds and the Eagles got a big stop on the defensive end as Coppin State defeated crosstown rival Morgan State 55-53 on Saturday afternoon at PEC Arena. Monnazjea Finney-Smith had a team-high 19 points and a program-record 13 steals in Hampton’s 81-53 win over Savannah State on Saturday in Tiger Arena. Ayonna Williams’ 16 points led four Bison in double figures in Burr Gymnasium on Saturday, as Howard upended North Carolina Central 69-54. Norfolk State survived an upset scare at the hands of South Carolina State on Saturday and ultimately escaped with the 71-67 victory at the Smith-Hammond-Middleton Memorial Center. North Carolina A&T State used a balanced offensive attack on Saturday to defeat Maryland Eastern Shore 57-45 in the Hytche Athletic Center. Brandon Tabb scorched Delaware State with 27 points, and Isaiah Bailey nearly matched him with 23 as Bethune-Cookman University took an 86-78 decision Saturday at Memorial Hall. The Wildcats (11-9) earned their sixth straight victory and matched a program-best 5-0 start in Mid-Eastern Athletic Conference play. Three Eagles scored over 20 points for the first time in recent memory as the Coppin State men’s basketball team defeated archrival Morgan State, 80-73, in overtime in front of a raucous PEC Arena on Saturday afternoon. The victory moves the Eagles to 2-19 on the year and 2-4 in the MEAC while the Bears fall to 7-12 with a 3-3 mark in conference play. 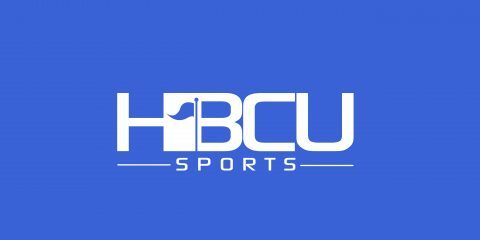 Howard tasted victory in MEAC play for the first time this season as they needed overtime to defeat North Carolina Central on Saturday. The Norfolk State men’s basketball team made better than 50 percent overall and held South Carolina State to less than 30 percent shooting to pull away from the Bulldogs 78-54 on Saturday afternoon at the S-H-M Memorial Center. Femi Olujobi’s three-pointer with 2:13 in the second half coupled with Aaren Edmead’s steal with two seconds left lifted North Carolina A&T State over Maryland Eastern Shore Saturday evening in Princess Anne. Savannah State withstood Hampton’s best punch down the stretch as a late steal by Alante Fenner with three seconds left sealed the Tigers’ third consecutive win in MEAC play.